The digital marketing landscape is a rapidly changing one. Today, the modern shopper is armed with more intel and research on retail products and services than ever before. 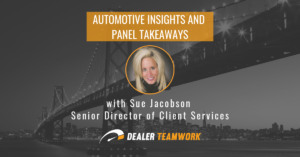 Consumers are looking for a transparent buying process from start to finish, and digital trust is crucial to the success of automotive dealers. An example of digital trust is Amazon’s philosophy to send consumers to sites where they can see a legitimate price; if you don’t provide legitimate pricing, you are not rewarded with traffic. 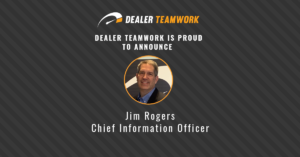 Digital trust is vastly important for dealers to understand and practice. However, the term is quickly becoming a bloated buzzword that is overused and, more importantly, misused. Many people use this term to jump on the bandwagon in an effort to stay relevant, but then fail in application. 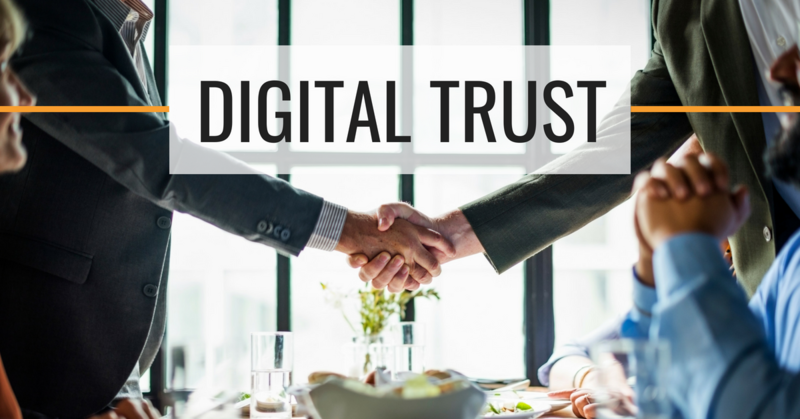 The rumblings about digital trust have started, and it’s important for all companies to start practicing this now if they wish to thrive in the digital world. How does this apply to automotive dealers? First, let’s define digital trust. Digital trust means that how you represent and conduct yourself online satisfies the consumer’s expectations of honesty and transparency, and that who you claim to be is who you are. For example, if you claim your dealership focuses on quality customer service, you must fulfill that in all you do, from your online interactions with customers to in-person interactions. If you don’t put your claims into practice, you break digital trust. 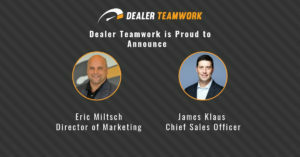 Next, let’s look at how to apply digital trust in your dealership. A great first step is eliminating the old stereotype of the “typical car salesman.” We all know it, and many of us brush it off as a joke. But it’s time to do something about it, because in-market car shoppers take it seriously when making a vehicle purchase. The perception persists because many dealers have not shed the old, outdated and ineffective practices involved in operating their stores and the communication practices that come along with it. Shedding these old practices will make it easy for consumers to do business with you. A great place to start is online. According to a Google study, 95 percent of car shoppers use digital as the primary source for information in the vehicle purchase process. Consumers are jaded and automatically ask, “What’s the catch?” when viewing your offers. So, be transparent, honest and upfront with your messaging. Don’t draw shoppers into your website on false promises or hide crucial details in fine print — this is how you lose buyers. Google research also shows that vehicle buyers generally collect all the information they need to make a purchase in two weeks or less. 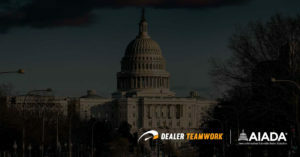 Additionally, the amount of phone calls and lead submissions to dealers is trending down, and visits to a dealership before buying a vehicle have dropped from five, down to one or two. All these facts point to one universal truth. Dealers have fewer opportunities to make a good first impression, so a good first impression is more valuable than ever before. On top of this, the internet empowers shoppers with instantaneous knowledge to immediately validate or invalidate your claims, which is further evidence that building a relationship on trust is critical. Never forget that trust is not built on one interaction, but it can be shattered with one poor one. Another thing to keep in mind is that you may be breaking digital trust without realizing it. In fact, you could be saying to yourself right now, “this isn’t relevant to me, I’m an honest business owner and would never intentionally deceive potential clients.” The key there is “intentionally.” When digital trust is broken, it often happens without warning and the reason rarely reveals itself because the company has already lost the customer. That is why I’ve compiled a checklist so that you can audit your dealership to ensure you are practicing digital trust, and so you can take the crucial first steps in repairing it. Do you provide a consistent shopping experience end-to-end? Meaning, do your ads match what the corresponding landing page says and do your phone and in-store staff mirror that same message in their communication with clients? Your offers and marketing message must be consistent from start to finish — to the penny. Do you craft your digital messaging to answer the questions that shoppers search for? Also, do you diligently ensure that messaging is consistent across all communication channels? For example, one of the most important questions shoppers ask is, “What does it cost?” Do you answer that question? Do you answer that question with meaningful information? Meaningful information means more than MSRP; most people do not buy a car with one lump payment. Tricking people into visiting your website with messages like “find deals on our website” and then dropping them on your homepage or an unfiltered SRP that never answers the original question is one of the biggest pitfalls of many automotive digital strategies. Do you reinforce digital trust principles into in-person interactions? You can spend all the money in the world and have the best converting ad campaigns, but if you do not mirror the online experience over the phone and in store, you are likely to lose the sale. Ensure your entire staff, from BDC to floor salesperson to service writer, knows the current online offers and how to handle them in person.